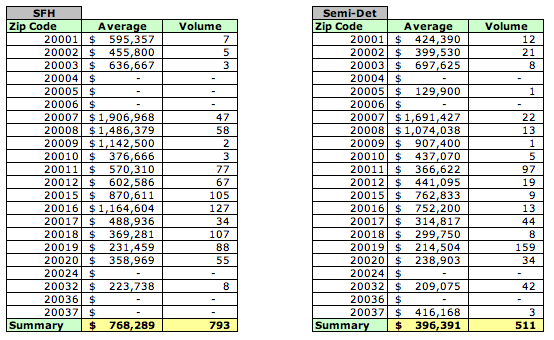 Tucked away in the briefcase of Liz Ann Sonders, chief investment strategist at Charles Schwab & Co., is a chart so scary she's hesitant to show it to investors. 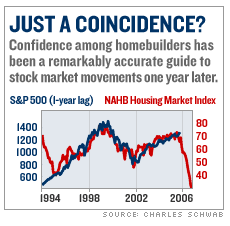 It plots the National Association of Home Builders' Housing Market index - a monthly measure of builder confidence - against the Standard & Poor's 500 stock market index, with a one-year lag. It turns out that the mood of builders is a terrific stock market bellwether: The correlation between current builder confidence and future stock market returns over the past ten years is downright unnerving. 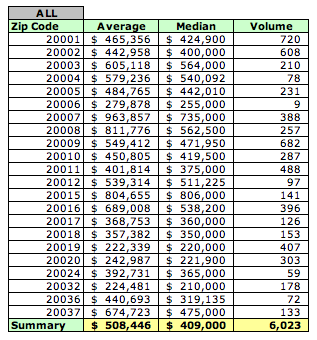 This is the first month in 2006 that both average and median prices have declined. 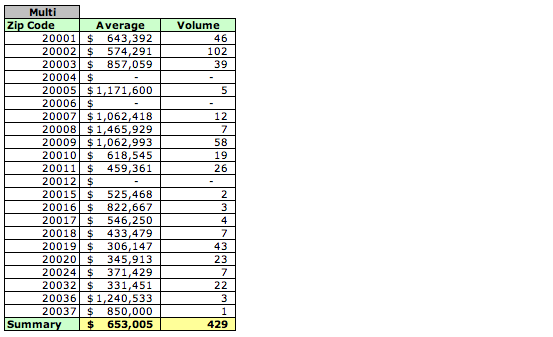 This indicates that entire market is suffering. 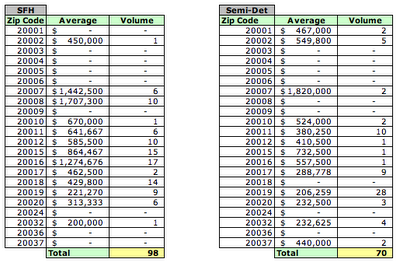 Note that there is some uncertainty whether properties DC lists as multi-family are not actually single family homes. 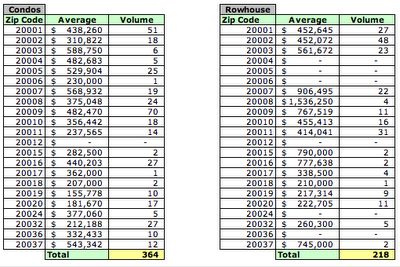 I have a friend whose house is definitely a rowhouse yet the city records it as multi-family. 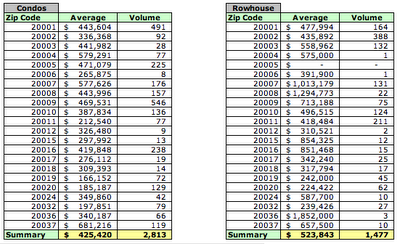 Conversely, I'm aware of properties listed as rowhouses that have been serving as multi-family housing. The table below provides average and median prices and sales volume for sales in DC, organized by zip code; the data include all types of housing units. 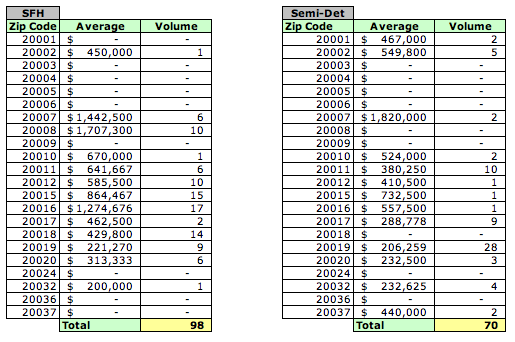 The tables below detail YTD average sales prices and sales volume by zip code for each type of housing unit. 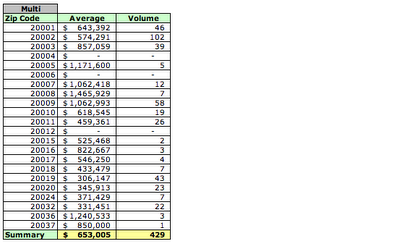 OK, one more slice at August's data while I wait for DC to finish uploading September's data. 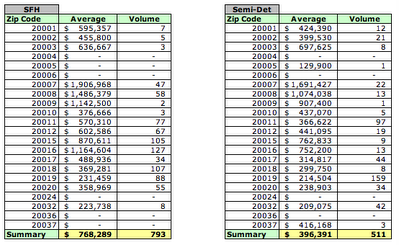 Here are August average prices by zip code for condos and houses (rowhouses, detached and semi-detached).